Designing your car to be exactly what you want can be a fun project. Adding an ABS Smooth Hood Scoop to your car will give you the perfect racer style that looks undeniably perfect for all race car enthusiasts. Made to fit using precision, the heavily reinforced molds are adapted from the original look of the GM panels. Designed with perfection in mind using three layers of 3.5- ounce mat & 21 mils of soft sanding gel coat. The hand rolled process of the hood scoop allows for a stronger feel and free of all bubbles and waves. The machined steel plates are riveted for inner hood reinforcement saving you time and money with this addition to your Corvette. Small: 14.5" x 13" x 1.5"
Medium: 22.5" x 19" x 2"
Large: 29" x 24" x 2"
Please use the drop-down menu above to make your size selection. 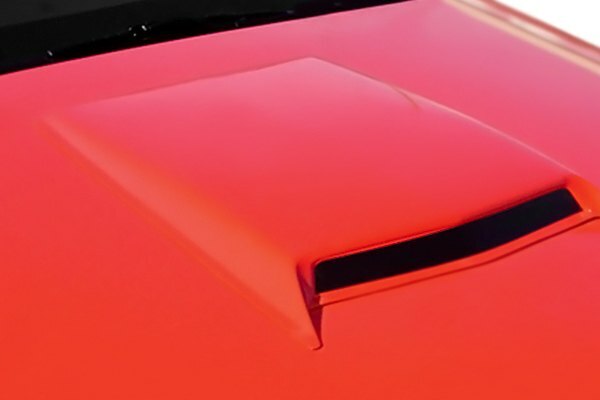 Q: will the abs smooth hood scoop- small, fit on a 2006 corvette? Q: Do you have color grey? Q: what hood scoop size look nice for c5?